As I’ve resolved in my new Search Engine Land column, I won’t be comparing the benefits and drawbacks of responsive design versus dynamic serving versus mobile URLs in 2013. More than half of my published articles in 2012 were about this topic, so I think I’ve written enough. 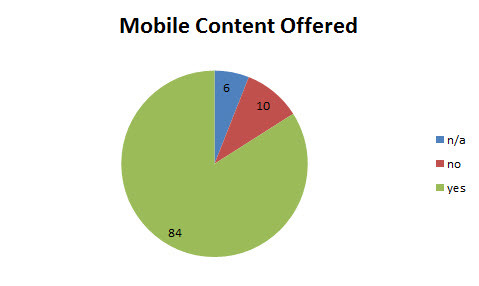 The fact is, any of these mobile configurations can work for mobile SEO, provided it’s done correctly. If you believe, as some do, that “the best Mobile SEO strategy is to not have a mobile SEO strategy”, you might be interested to see that the overwhelming majority of sites that get the most organic traffic from Google offer mobile-specific content to search engine users. Apple and a few others still don’t offer mobile content, but 89% of the sites in the study do—either through mobile URLs, dynamic serving, responsive web design, or some hybrid. Correlation doesn’t equal causation, and Google still shows relevant unusable content in search results occasionally, but the great majority of top sites in Google search try to provide a good experience for users of mobile devices. 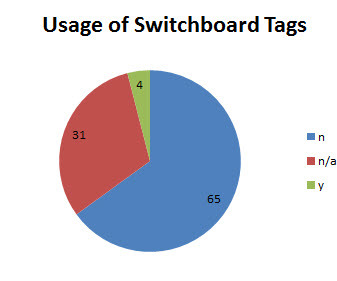 Only 6% of the sites that offer mobile URLs use switchboard tags. Google introduced this feature in June to help sites with URLs with duplicate content consolidate link equity, but so far not many webmasters have elected to implement them. There were a handful of sites that implemented them incorrectly, but for the most part these webmasters seem apathetic when it comes to implementing switchboard tags to consolidate link equity. One of the reasons these webmasters may be apathetic about switchboard tags is that Google doesn’t seem to be heeding them in every case. 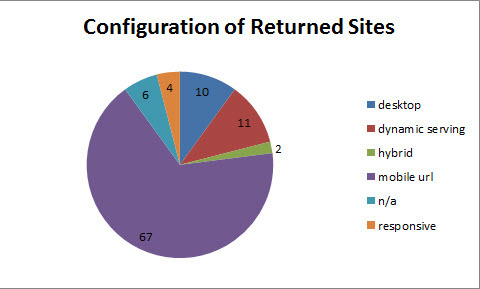 None of the navigational queries I tested for this study produced mobile URLs in search results, and when I tested certain queries for sites I knew had implemented switchboard tags, only some of them exhibited Skip Redirect in the search results. One of the big conclusions from the last study was that mobile URLs were used frequently by some of the top sites in Google search results, and that using mobile URLs therefore probably won’t hurt your rankings in Google search. This still seems to be the case, as the great majority of sites in the study use mobile URLs over dynamic serving or responsive web design. What’s more, these sites are still getting traffic even though only 4 of them have correctly implemented switchboard tags. What’s different about this study is that the number of sites using dynamic serving or responsive design has increased slightly and the number of sites using mobile URLs has decreased slightly. This is due to two things mainly: 1) some of the sites in this study are different, because the SEMRush top 100 is dynamic, and 2) I misclassified some sites that used dynamic serving as responsive in the last study and fixed my mistake in this one. It could also be that more people are turning to responsive design or dynamic serving over mobile URLs than they have in the past; but unfortunately I can’t use the original dataset to verify that sites that used to offer mobile URLs are now using either responsive web design or dynamic serving. Regardless, the new study doesn’t bode well for responsive web design among the top search generating web sites, as with the new classification the number of responsive sites in the list drops from 12% to 4%. It is Google’s preference for smartphone content, provided the user experience doesn’t suffer; but you wouldn’t necessarily know it from the sites they send traffic to. Thanks for update to your study. I think your conclusions are valid. After I explain responsive vs. mobile site to some companies, they view responsive and very labor intensive. In their minds it’s easier to make something new than reconfigure the old. Regression testing – What could break if we go with responsive? But I certainly see the merit in responsive and will continue to advocate for for it in the right circumstances. Anyway.. u have to understabd that u fighting the responsive design from SEO point of view wont do u any good. Mobile is the future “im sure u know that. Ur the expert ;)” and u like it or not, responsive design is the best way for SME to address mobile users. I dont understand y u only take the bad examples. Im wondering how all those online industry leaders let u write. How technical are u? Do u know how responsive design works? Obviously hadn’t updated my blog design since 2007 as I’ve been focused on publishing elsewhere but I’ve since fixed that. Thanks for noticing. As I’ve said many times in the past, I’m not anti responsive design. 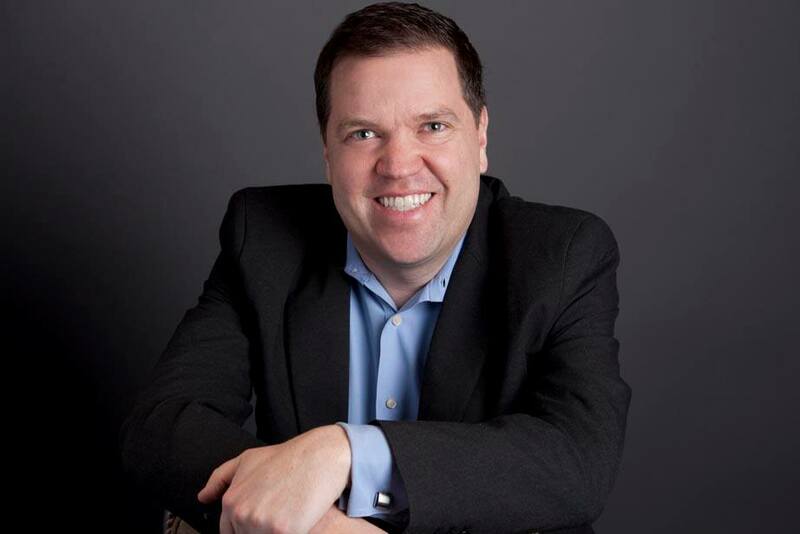 I just think there are better solutions in many cases and businesses are doing themselves a disservice by focusing on responsive without considering all the options. In some cases, as in this blog, responsive is ideal. I point out the bad examples because there are many, and too many designers are making too much money selling responsive to risk pointing them out to potential clients. Thanks for the comments, not for the insults. Have a great day.